Bluekite.com, an e-commerce emerging company was newly formed. 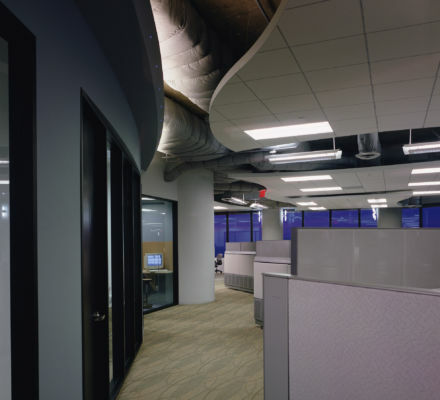 As bandwidth optimization was their business, creating a visual metaphor was accomplished through ceiling elements: luminous and opague. 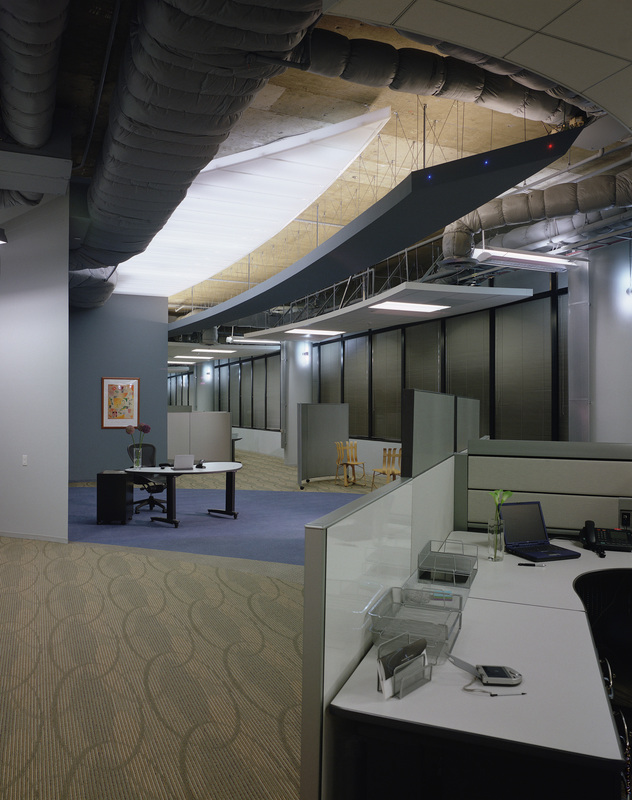 This 40,000 square foot project was a springboard for rapid company growth, served via custom organic and traditional Knoll workstations. Bandwidth optimization implied wi-fi airwaves which we translated into curvillinear edged floating ceiling platforms. 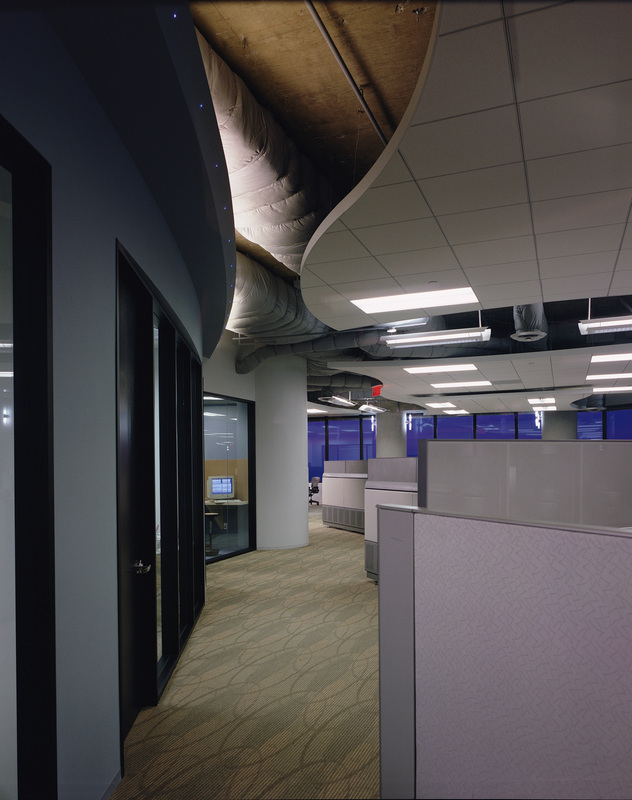 We integrated both ambient 2×4 lighting and ceiling hung ambient lighting, allowing for maximum workstation layout and flexibility. 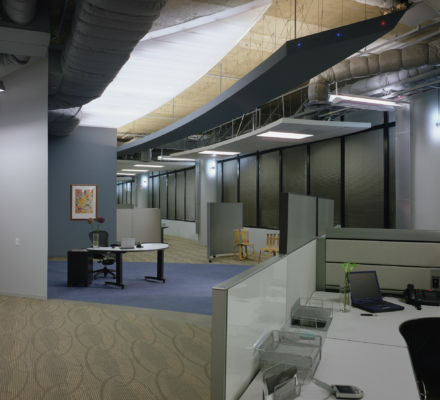 Private offices with glass, were massed at the interior core. Firm launched and sold at profit.